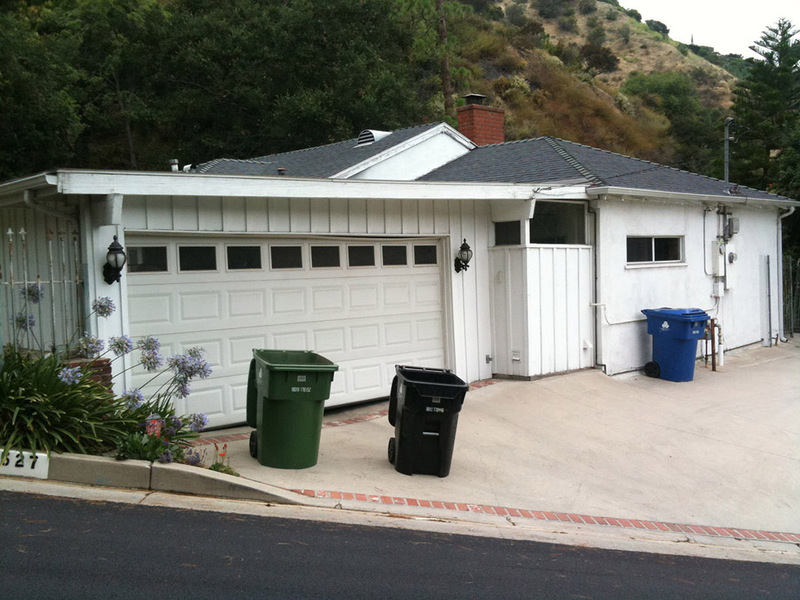 The Sherman Oaks Hillside Renovation took a 1954 ranch style house in the Sherman Oaks Hills of Los Angeles and gave it the TLC it needed and its owner deserved. 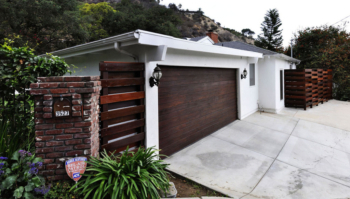 Windows were replaced and resized to suit the interior uses and views; the garage was practically rebuilt in its entirety with new insulation, added storage, and a new custom wood door; the driveway was removed and re-poured in new concrete to fix serious slope problems. 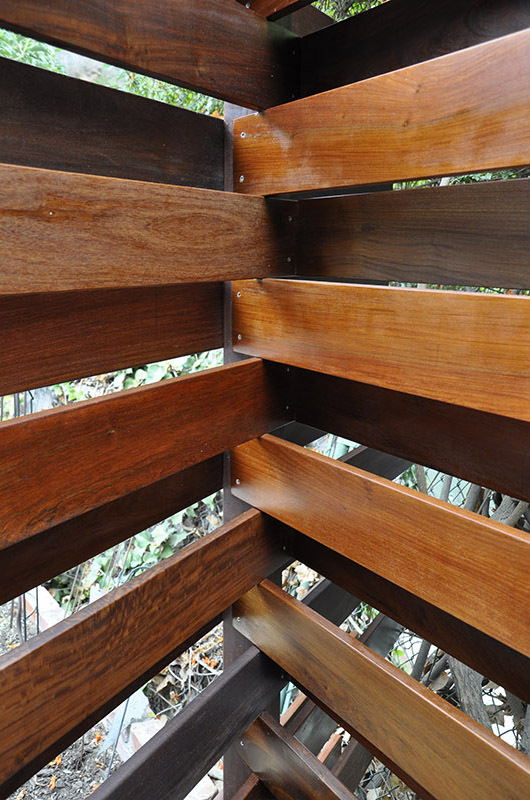 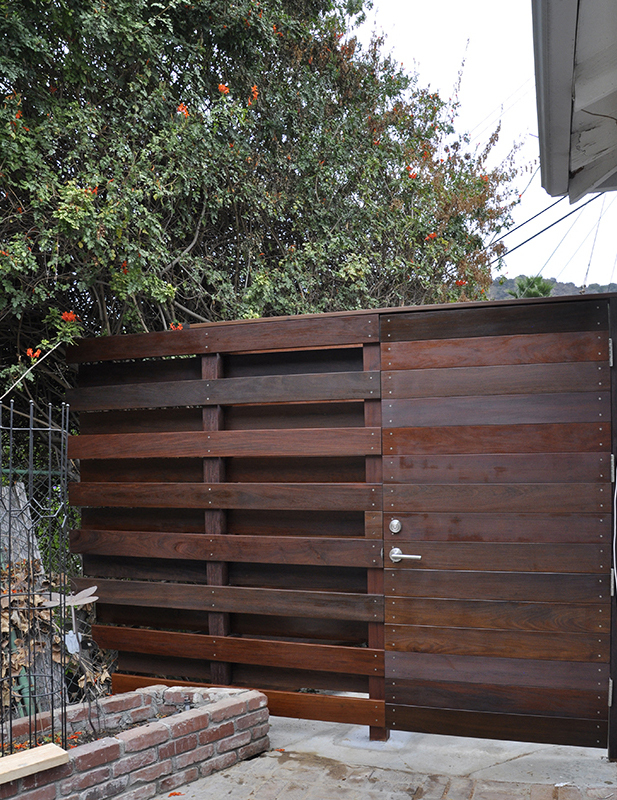 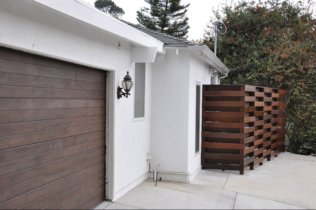 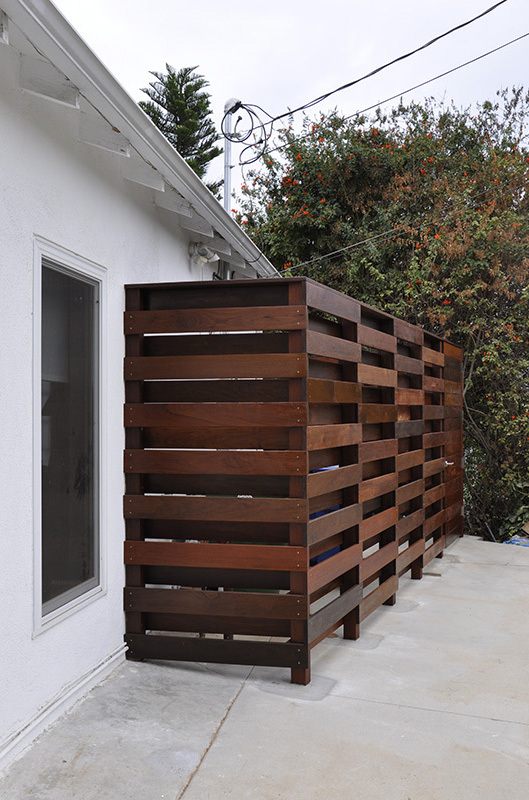 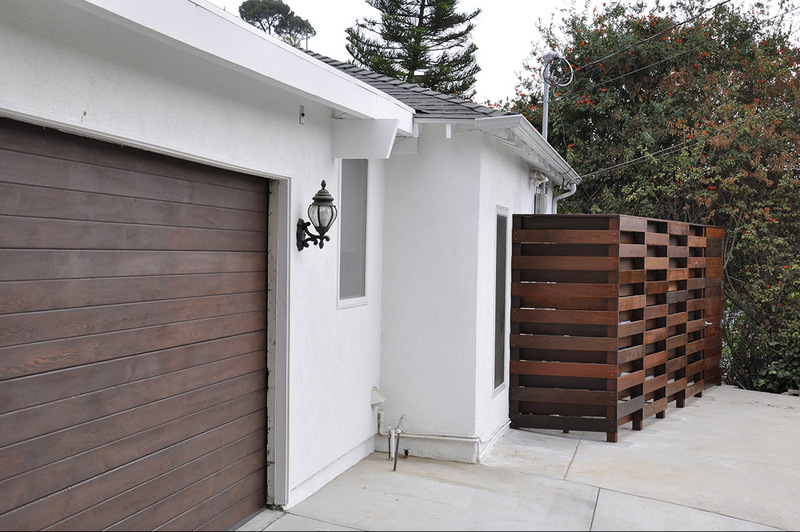 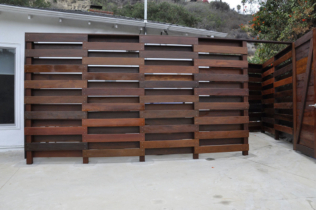 The highlight of the design is the new ipe wood fence, which serves several purposes. 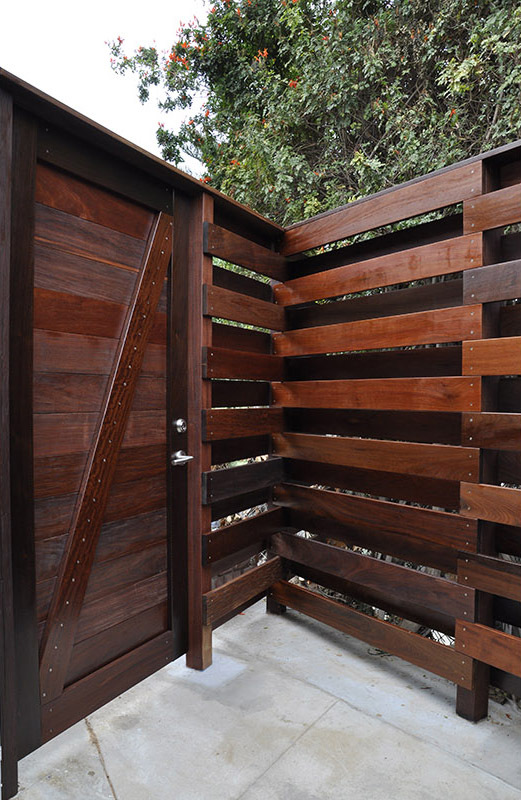 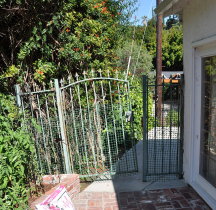 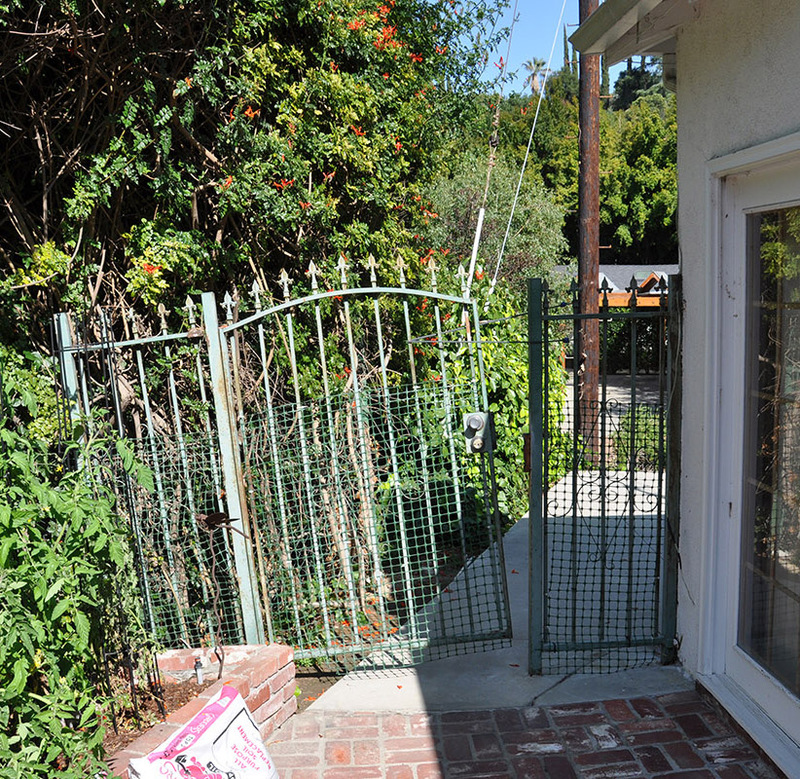 It hides the garbage cans, encloses the utility meters, creates storage for gardening items, and features a double gate to always ensure the dog is kept confined whether one enters from the driveway side or the patio.